Blue’s Carolina Pepper Sauce is NOT a hot sauce. It is considered a table sauce or everyday condiment. 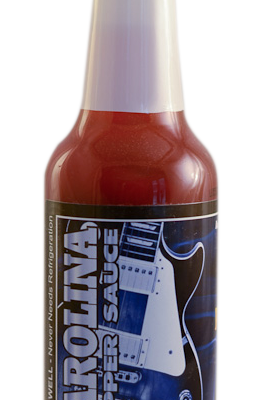 Carolina Pepper Sauce is intended to enhance flavors, not hide them. 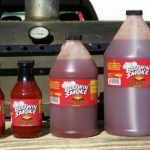 Blue’s Carolina Pepper Sauce is NOT a hot sauce. It is considered a table sauce or everyday condiment. Carolina Pepper Sauce is intended to enhance flavors, not hide them. Carolina Pepper Sauce can be used on just about everything from meats, seafoods, vegetables, soups, salads, and even eggs. All natural and no preservatives. 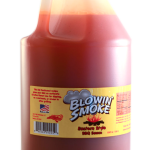 Ingredients: Tomato, Cider Vinegar, Sugar, Assorted Peppers including Cayenne, Chili and Habanero, Black Pepper, Salt, Natural Flavors. 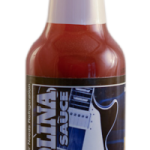 Be the first to review “Blue’s Carolina Pepper Sauce (10 Oz Bottle)” Click here to cancel reply.